I've always been a fan of saving the environment, and now the general populace seems to be catching on. (Thanks, Al Gore!) There are tons of green gift options being circulated this year; here are some of my faves. For the kids, there's the nifty Power House: Sustainable Living in the 21st Century Science Kit or the equally awesome Fuel Cell Car and Experiment Kit. Both seem like they could be edutaining. And I mean that in a good way, not in the way that edutainment usually resembles neither education nor entertainment. These solar chargers would make practical, useful, and relatively inexpensive gifts for, well, anyone with a mobile phone/iPod/DS/other gadget. 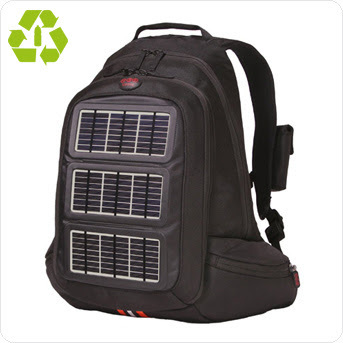 If you feel particularly generous, of course, you could give one of these Voltaic Solar Backpacks/Bags. That'd be nice, too. For environmentally friendly stocking stuffers, try Clif Bar Cool Tags: For every $2 Cool Tag you buy, Clif Bar invests $2 in a wind farm.